Senior Trial Paralegal to Ellis T. Fernandez, III, Esq. Maryanne has been in the legal profession for more than 31 years, which has provided her with exposure to many areas of law, and she feels it is important to continually increase her knowledge, not only in the legal field, but also in other areas that will enhance her ability to serve clients. 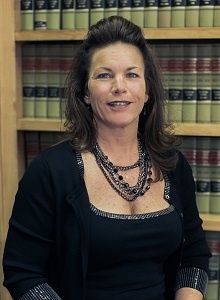 She holds a Certificate of Paralegal Studies from the University of North Florida. She and her husband, Bruce, have been married for 25 years and are both natives of Jacksonville. Their daughter, Ashlynn, graduated from USF in 2014 with a degree in Criminology and resides in Tampa. Paralegal to Michael S. O'Neal, Esq. Julia is a certified paralegal with over 15 years’ experience. She has a Bachelor’s degree in Pre-Law and Political Science from St. Augustine's College in Raleigh, North Carolina and an MBA from the University of Phoenix. She recently moved to Jacksonville, Florida, with her daughter from Philadelphia, Pennsylvania, to enjoy the Sunshine State. Paralegal to Gregory E. Blackwell, Esq. 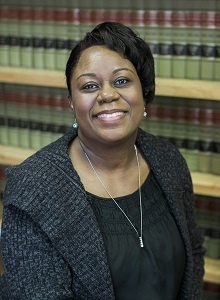 Lennette is a Florida Registered Paralegal and has been working in the law field for over 18 years. She is passionate about providing clients an exceptional level of customer service. She has an Associate's degree in Legal Studies from City College and a Bachelor's degree in Creative Writing and English from Southern New Hampshire University. Lennette recently moved to Jacksonville from Gainesville, Florida with her daughter and two dogs. Her daughter, Destiny, is currently a college junior working on a double Bachelor's degree in Criminology and Psychology.